University of the Philippines fought gallantly against Ateneo in their UAAP Game 1 Finals yesterday, but sadly lost steam at the stretch and lost 79-88. A netizen took to social media and hit the yellows for riding on UP’s popularity to advance their own agenda. 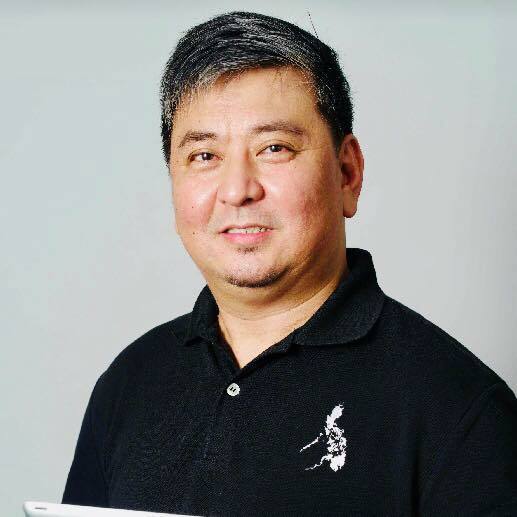 In a post he shared on Facebook, netizen Mark Lopez blamed the opposition politicians of coming to the arena not to cheer for their alma mater, but to do politics. They came to the game not for the love of the school but to advance their own agenda. 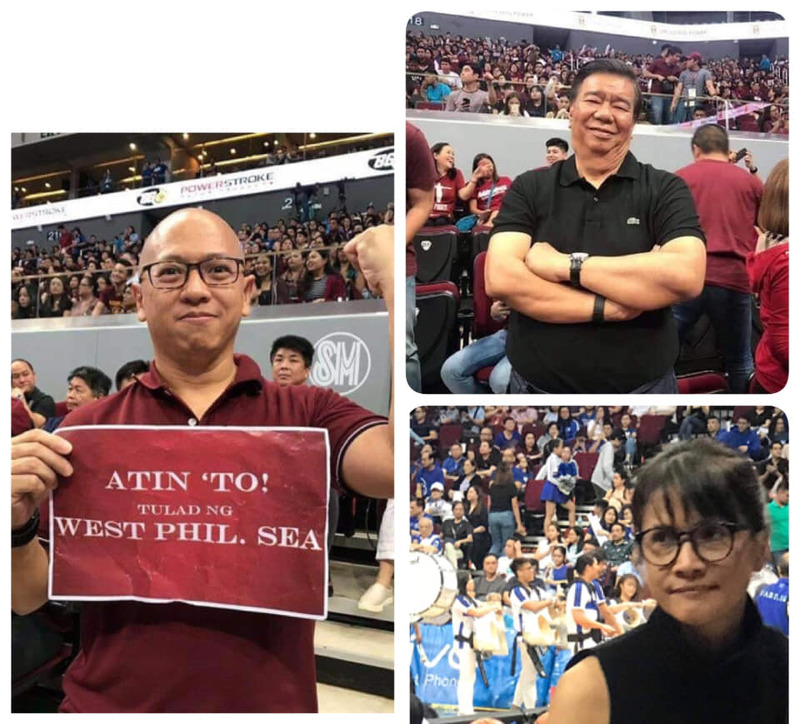 Florin Hilbay was seen holding a placard sayin “Atin To”, which is UP’s battlecry this season, however, under the phrase “Atin To”, was the phrase “Tulad ng West Phil. Sea”, which is a jab on Duterte’s diplomatic ties with China. It clearly ruins the spirit of the game when someone puts politics in it. 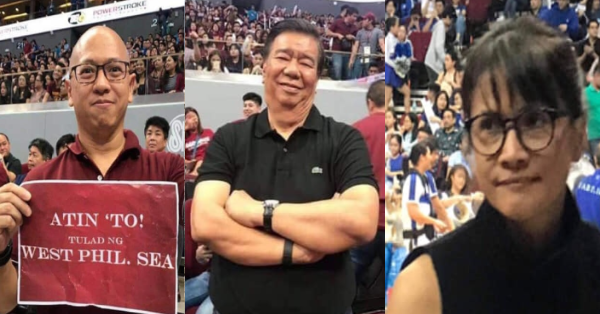 Franklin Drilon was also seen posing in the arena, wearing a black shirt in the sea of purple, as if wanting to stand out. Agot Isidro was also present, even though we all know that she was never a fan of basketball. Lopez argued that the UP Fighting Maroons lost their fighting spirit because they were distracted by these attention hungry politicians. Instead of focusing on the game and cheering the Maroons, these Yellows took the chance as a “photo op”, and an opportunity to identify themselves with the popular school which can translate into a lot of votes come election time. Furthermore, the mentioned politicians and senatorial hopefuls went out of their way to be really seen. Lopez accused them of being attention-hungry and spotlight-huggers. They clearly went to the game with a different purpose, and it’s not about cheering their school to victory. Supporting your alma mater is always welcome. Just make sure you leave all your agenda at home and come to the game to cheer, and support your school, not to do politics and be seen. Alam nyo bakit kayo natalo? Kaya ang sama ng vibes. Nasira yung fighting spirit kasi may distraction. Wala yung unity of purpose. Ika nga eh dapat walang “I” sa “team” pero ang katulad nitong 3 ito eh pasikat at papansin. Talagang lumihis sa aspiration at may ibang statement na gustong iparating. I-ban nyo yang mga yan sa next game.